I have so much makeup like every girl and I needed a makeup storage solution to organize it all! I like having an exact place for all my things that way I wont lose anything! I used my Dymo LetraTag to print out the labels for each shelf, for example: Chapstick, Lipgloss, Eyeshadow, Primer, Concealer…etc…. I purchased this Arko-Mils shelf from Amazon here. It has 24 small shelves that perfectly fit my makeup. I think this shelf was originally for storing tools, but I thought outside of the box! 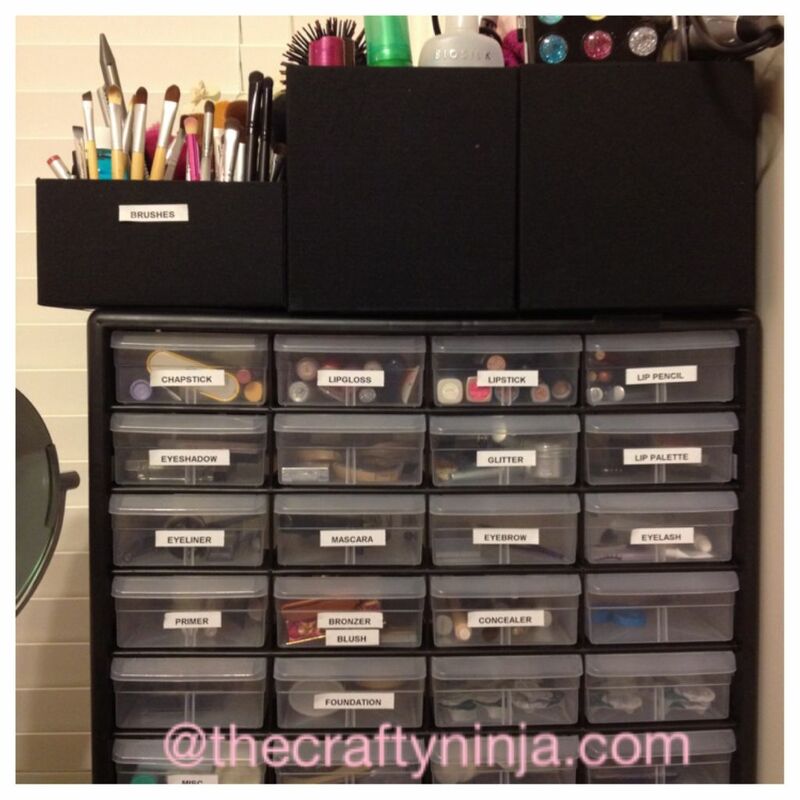 On top of my makeup box I have storage for my hair products, hair tools, and makeup brushes. I purchased these black storage boxes from Target, and these were found in the office section. To make my makeup brushes stand up I put small foam balls used for floral container fillers purchased at the dollar store, cheap and simple solution. 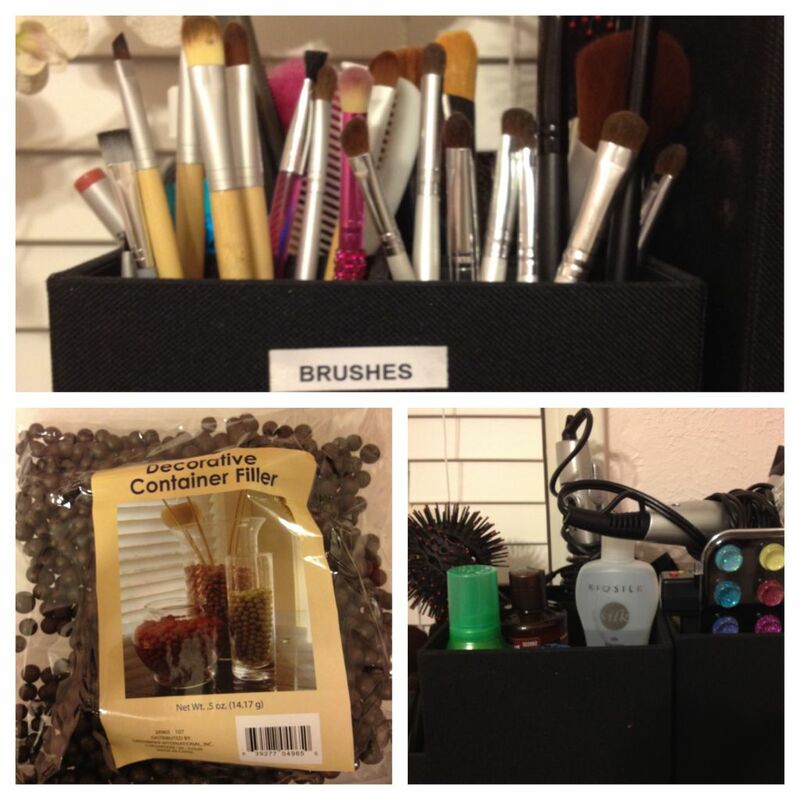 You could also use beans, rice, beads, or sand to make the makeup brushes stand up.